Welcome to my website! I am assistant professor at the Institute for International Economic Studies at Stockholm University and Research Affiliate at CEPR. Below you find information on my research in macroeconomics and teaching material. 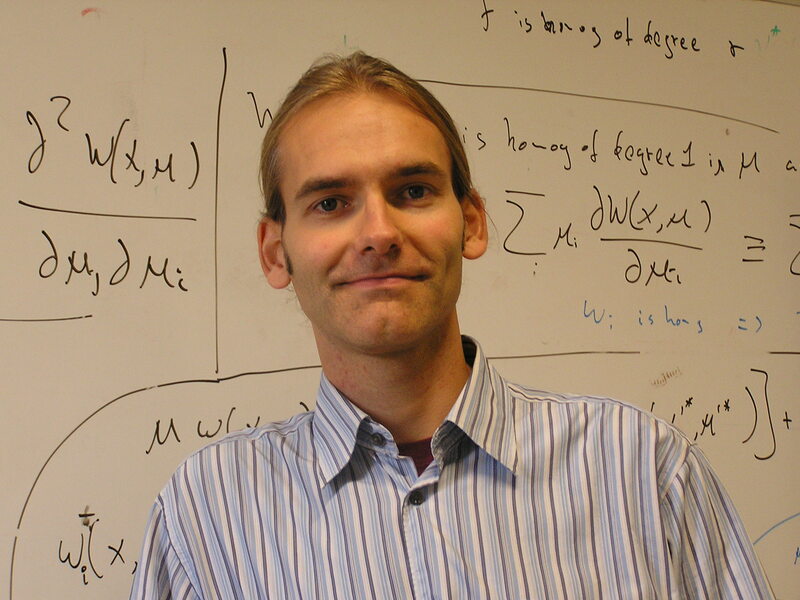 Comments and reactions very welcome at Tobias.Broer[at]iies.su.se. "Securitization bubbles: Structured finance with disagreement about default risk" . Journal of Financial Economics Volume 127, Issue 3, March 2018, 505-518. "The home bias of the poor: foreign asset portfolios across the wealth distribution". European Economic Review Volume 92, February 2017, 74-91. "Consumption risk sharing with private information and limited enforcement". Review of Economic Dynamics Volume 23, January 2017, 170-190. .
"Domestic or global imbalances? Rising inequality and the fall in the US current account ". Journal of Monetary Economics, Volume 64, May 2014, Pages 47-67. "The wrong shape of insurance? What cross-sectional distributions tell us about models of consumption smoothing ". American Economic Journal: Macroeconomics 54, 2013, Pages 107-40. "Crowding out and crowding in: When does redistribution improve risk-sharing in limited commitment economies?". Journal of Economic Theory, Volume 146, Issue 3, May 2011, Pages 957-975. "Emerging Market Lending: Is moral hazard endogenous?". Journal of Economic Development Vol. 32, No. 2, December 2007. "Recent movements in the Peso exchange rate: What does UIP tell us?" (in Spanish), Economía Chilena, December 2004. "Break-up of unions: risk sharing in dynamic groups" (joint with Tessa Bold and Sebastian Koehne). "Risk sharing under limited commitment in an economy with aggregate fluctuations" (joint with Paul Klein). "La aversión al riesgo de los hogares"